When you buy Allison Genuine Parts from Transdiesel Australia, you are are getting components made to fit and work within the exact specifications of your Allison Transmission. 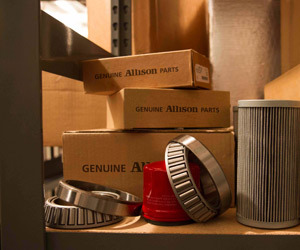 The same standards for world-class quality that go into building our transmissions also goes into manufacturing Allison Genuine Parts. New Allison Transmissions and Swing Transmission assemblies can be tracked by serial numbers, transmission e-numbers and customer specific part numbers together with serial numbers. A complete transmission service history is available (via serial number details) and transmission history can be obtained from the very first day.